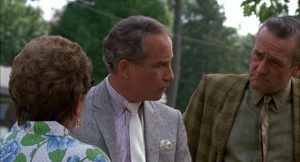 In Tin Men, Richard Dreyfus and Danny De Vito play two salesmen locked in bitter competition as they sell aluminum siding to householders in Baltimore. The movie is somewhat forgettable, but it offers a master class in sales techniques. In one scene, Dreyfus knocks on a prospective customer’s door while also dropping a five-dollar bill on the doormat. When the customer opens the door, Dreyfus picks up the bill and says, “Wow. I just found this on your doormat. It’s not mine. It must be yours.” Somewhat confused, the homeowner accepts the bill and invites Dreyfus inside where he makes a big sale. Robert Cialdini would call Dreyfus’ maneuver a good example of pre-suasion. Before Dreyfus even introduces himself, he has already done something to show that he’s a stand-up guy. He has earned some trust. Cialdini himself gained our trust in his first book, Influence, which details six “weapons of influence”: reciprocity, consistency, social proof, liking, authority, and scarcity. In his new book, Pre-Suasion, he invites us to look at what happens before we deploy our weapons. Pre-suasion is not a new idea. It’s at least as old as the traditional advice: Do a favor before asking for a favor. Like Dreyfus, however, Cialdini seems like a stand-up guy so we go along for the read. It’s a good idea because the book is chock full of practical advice on how to set the stage for persuasion. A key idea is the “attention chute”. When we focus our attention on something, we don’t see anything else. The opportunity cost of paying attention is inattentional blindness. Thus, we don’t consider other alternatives. If our attention is focused on globalization, we may not notice how many jobs are eliminated by automation. As Cialdini points out, the attention chute makes us suckers for palm readers. A palm reader says, “Your palm suggests that you’re a very stubborn person. Is that true?” We focus on the idea of stubbornness and search our memory banks for examples. We don’t think about the opposite of stubbornness and we don’t search for examples of it. It’s almost certain that we can find some examples of stubbornness in our memories. How could the palm reader have possibly known? The attention chute is also known as the focusing illusion. We believe that what we focus on is important, but it may just be an illusion. If we’re focused on it, it must be important, right? It’s a cognitive bias that a palm reader or aluminum siding salesman can easily manipulate. What’s the best defense? It’s a good idea to keep Daniel Kahneman’s advice in mind: “Nothing in life is as important as you think it is, while you are thinking about it.” If the media is filled with horror stories about the Ebola virus, you’ll probably think it’s important. But really, it’s not nearly as important as you think it is while you’re thinking about it. Cialdini takes the attention chute one step further with the idea that “what’s focal is causal.” We assume that what we focus on is not just important; it’s also the cause of whatever we’re focused on. As Cialdini notes, economists think that the exchange of money is the cause of many transactions. But maybe not. Maybe there’s another reason for the transaction. Maybe the money is just a side benefit, not the motivating cause. The idea that focal-is-causal has many complications. For example, the first lots identified in the famous Tylenol cyanide attacks were numbers 2880 and 1910. The media broadcast the numbers far and wide and many of us used them to play the lottery. They must be important, right? Focal-is-causal can also lead to false confessions. The police focus on a person of interest and convince themselves that she caused the crime. (This is also known as satisficing or temporizing). They then use all the tricks in the book to convince her of the same thing. Cialdini is a good writer and has plenty of interesting stories to tell. If you like Daniel Kahneman or Dan Ariely or Jordan Ellenberg or the brothers Heath, you’ll like his book as well. And who knows? It may even help you beat the rap when the police are trying to get a confession out of you.